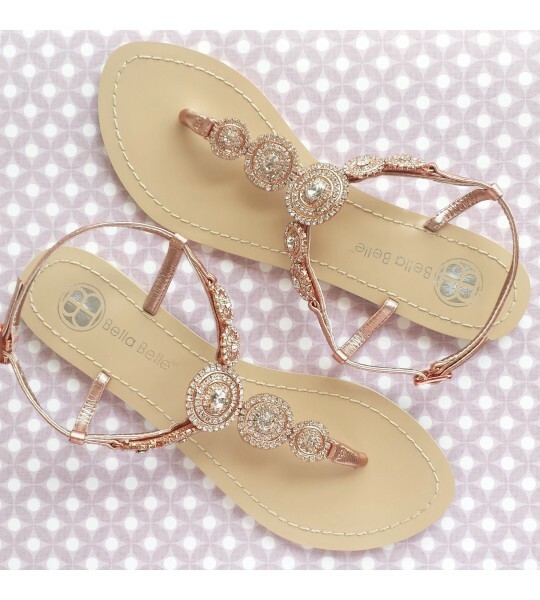 Myra Bridal Sandals. Fast worldwide delivery. Click or call 323-592-9172 for more info. Dazzle in 'Myra' Bohemian wedding sandals with rows of round disc crystals, sparklers, and blue sole. 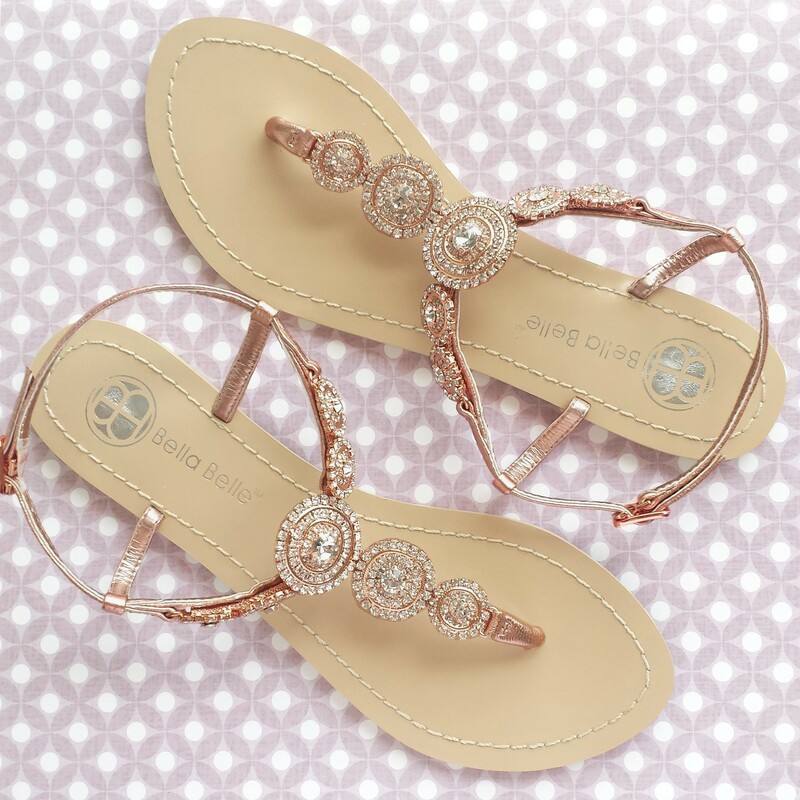 This Bohemian-inspired sandal comes in unique and hard-to-find rose gold color. Features adjustable buckle closure, genuine leather upper and non-skid sole. 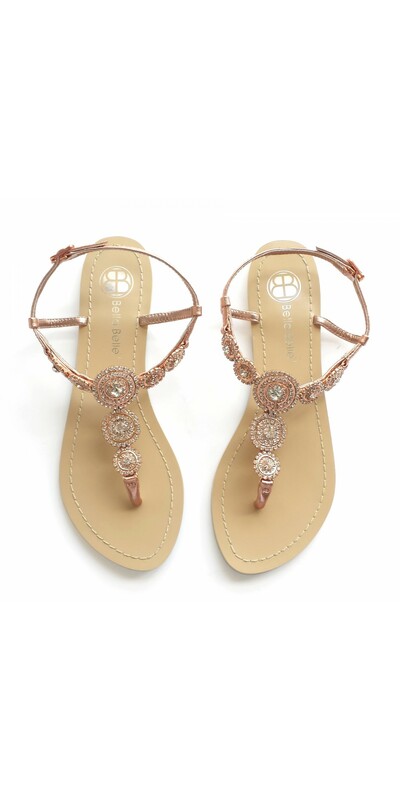 Dazzle in 'Myra' Bohemian wedding sandals with rows of round disc crystals, sparklers, and blue sole. 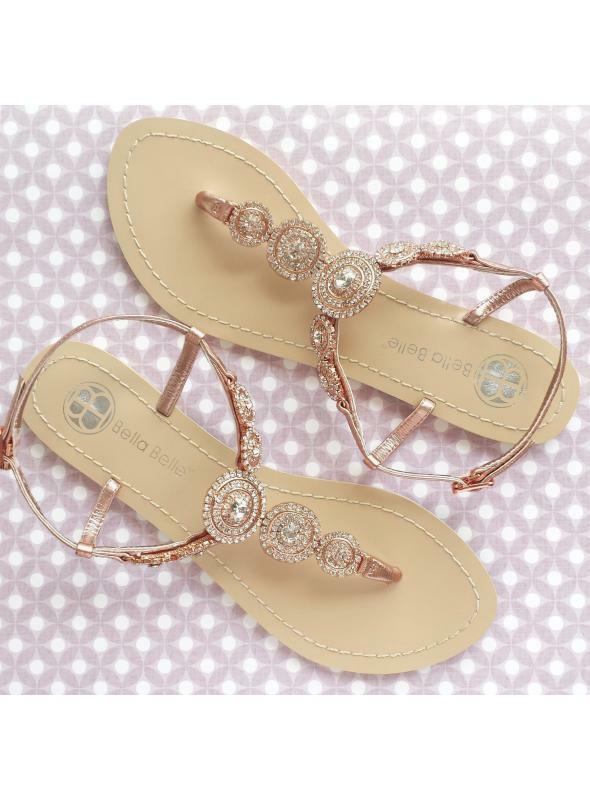 This Bohemian-inspired sandal comes in unique and hard-to-find rose gold color. Features adjustable buckle closure, genuine leather upper and non-skid sole. Whether it is for a beach wedding, destination wedding, outdoor wedding, or to change into for the reception, or to dance the night away, Jewel will keep you sparkling throughout. You don't have to sacrifice style for comfort.